You’re shore to be fascinated by this ancient temple. The two main carved pyramid shaped towers make a striking sight particularly against the setting sun. 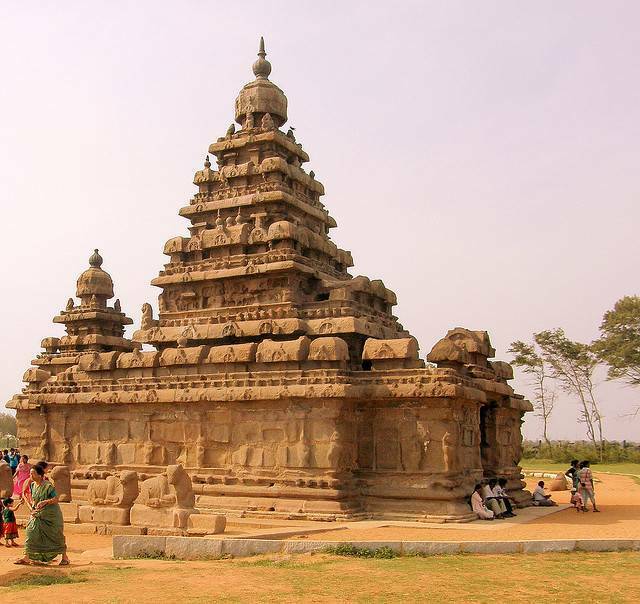 The Shore Temple was built in the eight century, and takes its name from the fact it overlooks the Arabian sea. It is a structural, not rock cut temple. There are two Shiva shrines and one Vishnu shrine.